The information technology sector plays a key role in driving the economic growth of a nation. Each and every sector are computer dependent and needs the knowledge of Information Technology. 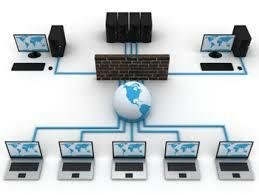 The global market at present is dominated by information Technology. The development of this discipline helped us to share data, information irrespective of continental barriers. Most of the work related applications are automated and again this is possible because of information technology. This discipline is cost effective as well as pollution free. A IT profession has to deal with the software, computer networking systems, looking into all the scopes provided by IT sector, one can undoubtedly admit himself in Information Technology distance education program which in turn saves his valuable time and allows to get involved in other works simultaneously. IT professions have their career in almost every sectors where software or networking related works are going on in an organization. NIMT - Neptune Institute of Management and Technology offer BE in Information Technology through Distance Education mode. Course Fee Rs. 18350 /Semester.